Within my first few months of school it was very easy to notice my classmates and I all had one dream: to help those in need and give back to our community. As a first year student at RSO, I did not expect to be given an opportunity to do such so early in the program. After just 28 days from the beginning of classes, I found myself inside a small dim room at a San Antonio church located in the heart of downtown. This would mark the day of my first vision screening. 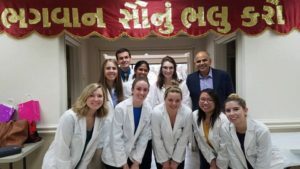 I was scared and timid at first but my fellow students (second and third years) reassured me that everything I had been learning in my Basic Optometry course was going to be put to good use that night. As soon as the patients started to arrive, my peers and I were continuously busy. From measuring pupil size to testing visual acuity, as a first year student with only a month of school under my belt, I was able to help so much! There are many organizations and clubs on campus that provide students with hands on experiences through vision screenings. I highly encourage many of my classmates who still haven’t attended a vision screening to do so ASAP. It is a such a great reminder of why we study and work so hard to do well in the classroom. These vision screenings provide us with a real world application of everything we have been learning from the textbook, and it doesn’t get much better than that! As an RSO student, we are reminded of UIW’s core values, especially one in particular: service. From the first day of orientation, we were prompted to be mindful of our community and give back as much as possible. As students of community engagement, we complete a service learning project within our curriculum, consisting of at least 16 service hours by the end of our third year. My classmates, as well as myself, truly understand how important these moments are. Not only are we fulfilling the mission of UIW, but we are also improving the lives of so many community members. 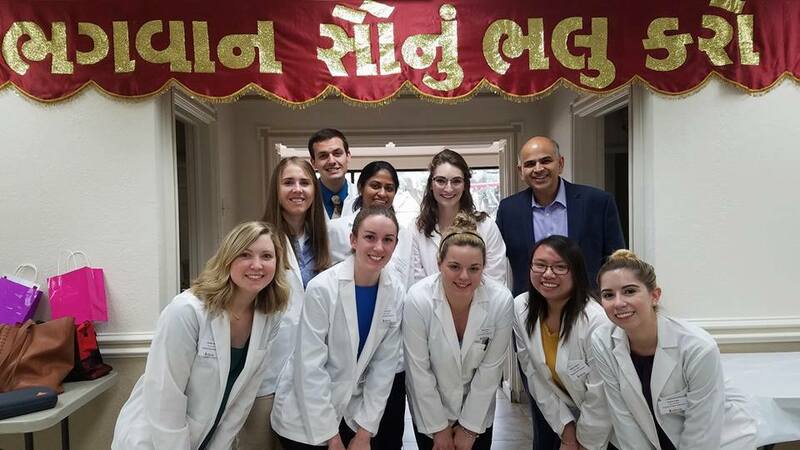 Pictured below are first-year students and instructor Dr. Narayanan, who volunteered at the 2016 BAPS Charities Health Fair. Which is a day that provides a wide array of health screenings and blood testing for community members. 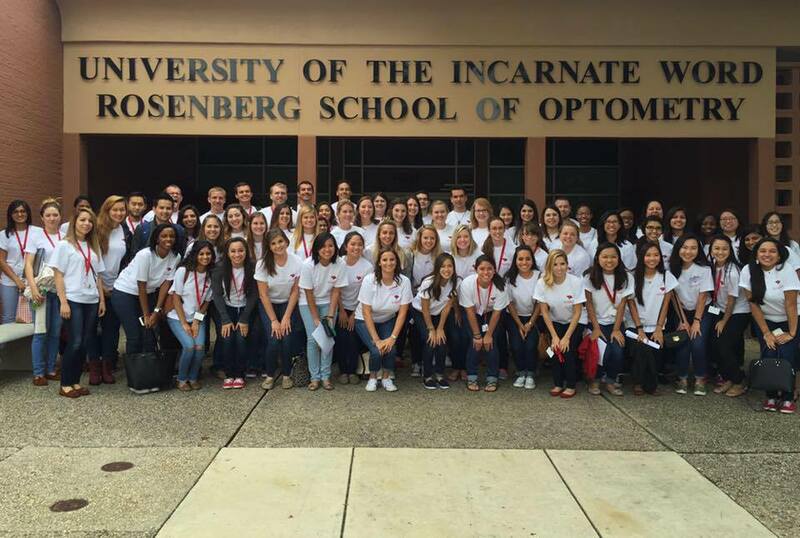 You too can fulfill your dreams of giving back to the community through vision screenings within just one month of beginning your career as an optometry student at UIWRSO! 1 out of 70. I am one of seventy students in the UIWRSO class of 2020. When I first got the acceptance letter I couldn’t believe it; it felt like a dream come true. I, like many, have always been asked the age old question, “What do you want to be when you grow up?”. Ever since I was little, I knew I wanted to give back through healthcare, but I was never too sure how I would accomplish it, until May of 2015. After spending an afternoon shadowing our family optometrist I had come to the conclusion; this was the perfect profession for me. After my application had been submitted and verified, I now had to play the dreaded waiting game. The time spent waiting for an interview invite was far from easy but more than worth it. The interview experience was a great opportunity to show the university what I had to offer, but more importantly helped me determine if the university fit my wants and needs. UIWRSO fulfilled all of my expectations and then some. Once accepted into the program, I could not wait for the first day of school. It was such a relief knowing where I would be headed after undergraduate graduation. The process of moving across country is not necessarily something you are taught in school. What is a lease? And how would I sign it from miles away? All of these questions and concerns started to build up inside my head. Thank goodness UIWRSO provides admitted students with a relocation service to help with all of these technicalities. A few months’ passed and it was time to make the move! My parents helped me load up my VW Jetta and we hit the road! 1,300 miles and 19 hours later, we made it to the great city of San Antonio. After a few weeks, my apartment is all set up and I have learned the lay of the land, and it is now the first day of orientation. Oh the emotions I felt; anxious, nervous, apprehensive, but overall excited to start this new chapter of my life. Like any other alteration in life, it takes time to adjust and get acquainted. Three months have passed since the start of year one of optometry school and I am pleased to announce: I am still alive! It isn’t as bad as you might think, it surely is no cake walk but I keep reminding myself, it will all be worth it one day. When I started school I expected the worse, but the faculty and staff at UIWRSO are so helpful and provide great support that makes day-to-day challenges that much easier. My decision to apply to optometry school and accept a seat in UIWRSO’s class of 2020 is one of the greatest choices of my life. The friends I have made and the experiences I have had only within a short amount of time, reassures me that there are only more great things to come!